An Aug. 26, 2014 meeting will epxlain solar energy options to Englewood residents. ENGLEWOOD — Solar Chicago has partnered with the nonprofit Sustainable Englewood Initiatives to host a meeting aimed at showing residents how to reduce their energy costs. The public meeting begins at 12:30 p.m. Tuesday at Kelly Library, 6151 S. Normal Blvd. 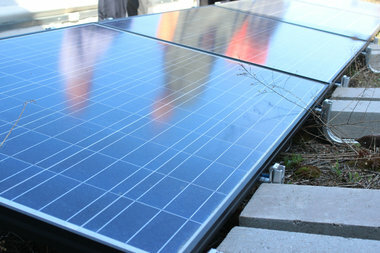 Demonstrations on using solar energy will held and contractors will also be on hand, according to Seth Johnson, a spokesman for Solar Chicago. Homeowners, gardeners and businesses are encouraged to attend, said John Paul Jones, president of the nonprofit. "We are excited about Solar Chicago and its potential for marketing and publicly financing energy products on the South side," Jones said. "The opportunity is before us to gain traction on green initiatives, particularly along 55th, 59th and 63rd street where new development is planned."